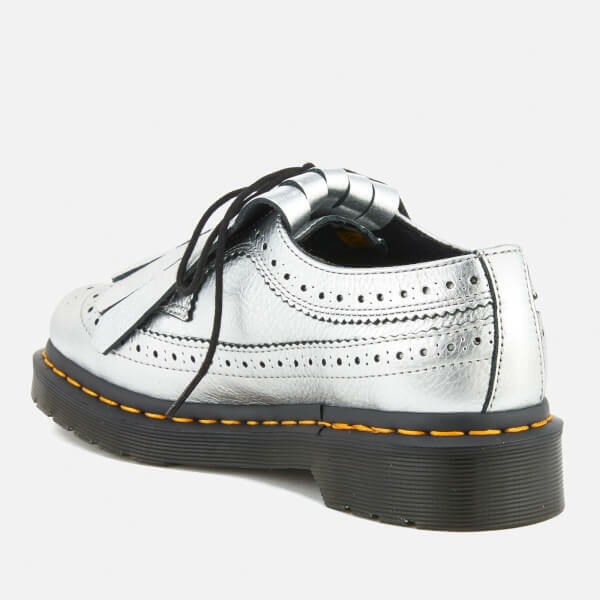 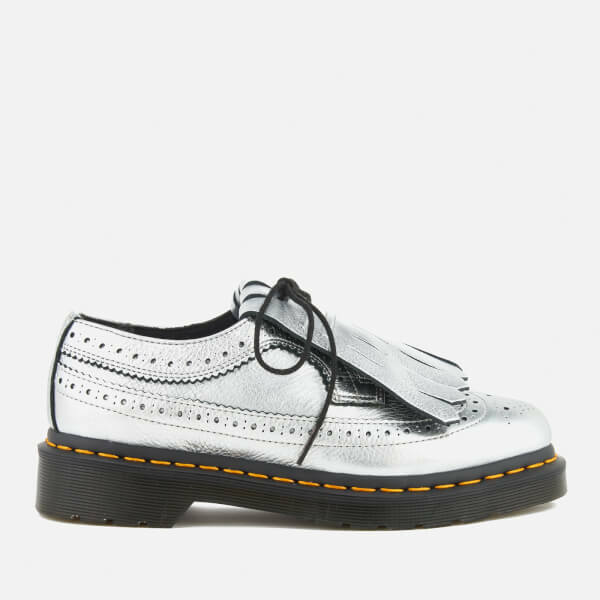 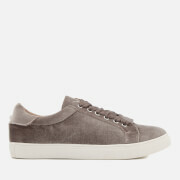 Women’s '3989' silver metallic leather brogues from Dr. Martens. 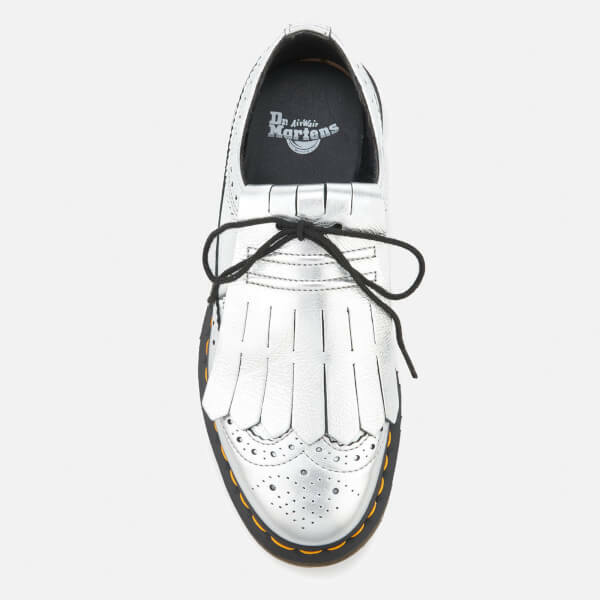 Originally released in the mid-60s, the leather brogues feature punched longwing detailing that runs the length of the shoe, a classic wing tip toe and a removable kiltie fringe. 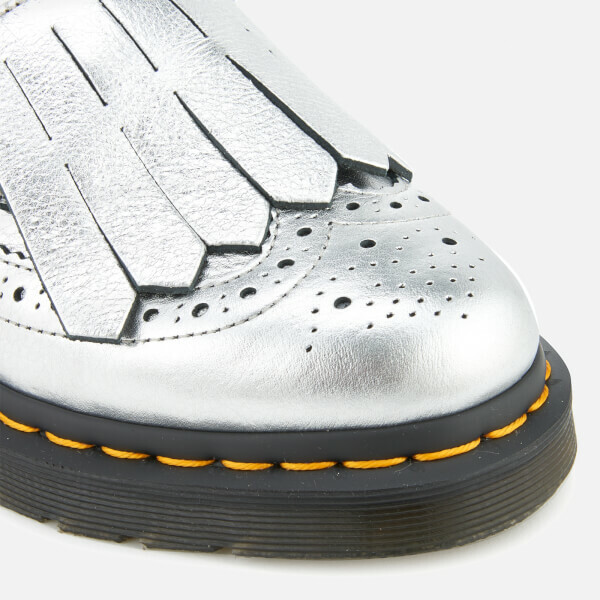 Crafted with a traditional Goodyear welt, the men's shoes feature a chunky black, air-cushioned PVC sole that provides comfort and slip resistance. 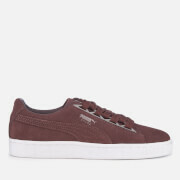 Complete with signature yellow stitching.